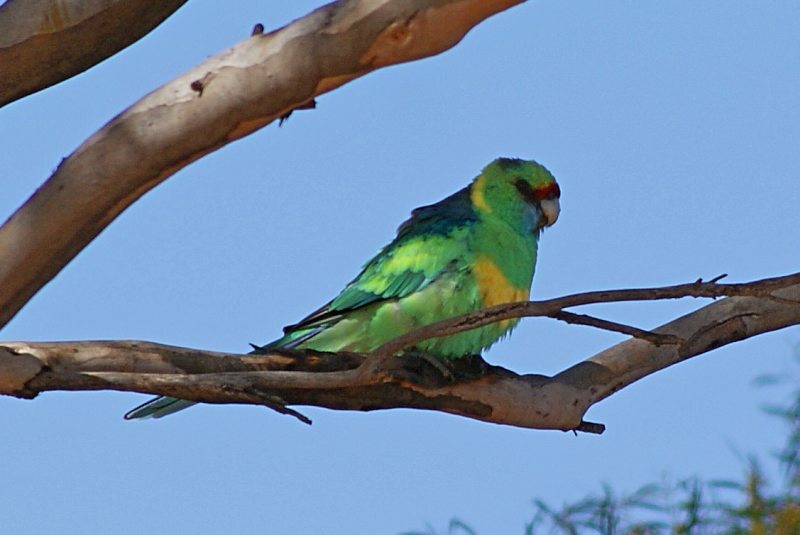 Australian Ringnecks are fairly common inland parrots with a number of distinct subspecies across the country. This particular bird is a Mallee Ringneck (race barnardi), which has a green head with conspicuous red frontal band and is found in south-western inland Australia. 34-38 cm. 1: Murray-Sunset NP, Vic., 04/06/2011.